Do you seat yourself close to the front at church or a movie to help you see better? Do you hold the newspaper at arm’s length while leaning back to try to make out the fine print? Do you squint a lot? Is it hard to recognize friends and colleagues until they are nearly in front of you? Is it hard for you to keep up with your glasses or contact lenses? If you answered yes to any of these questions or if you know you aren’t seeing the world as clearly as you could, you may be a candidate for LASIK eye surgery. LASIK eye surgery is considered refractive surgery because it reshapes the cornea. The cornea focuses light to create an image on the retina, a process called refraction. When the cornea is misshapen, the image becomes blurred and unfocused. For some people, this results in myopia, or nearsightedness. For others, hyperopia, or farsightedness is the problem. Still other patients have an astigmatism which means that the shape of the cornea is causing the vision problem. By restoring the cornea to its proper shape, the patient’s vision can be restored or greatly improved. LASIK stands for Laser Assisted In-Situ Kertomileusis. During LASIK surgery, a flap is cut in the cornea. By pulling the flap to the side, the opthamologist is able to reach the stroma, or middle part of the cornea. Using an excimer laser, the specialist of Concord, North Carolina Cabarrus Eye Center can reshape the cornea without harming the surrounding eye tissue. The entire LASIK procedure can be done through an appointment at the Concord, North Carolina Cabarrus Eye Center. Recovery time for LASIK eye surgery is relatively short. Most patients report an immediate improvement in the quality of their vision. LASIK eye surgery was approved by the FDA in 1998. Since then, millions of people worldwide have had the procedure. In a meta-analysis of studies, researchers found that over 95% of patients who have had LASIK eye surgery are pleased with the outcome of the procedure. Although LASIK is a very effective and popular procedure, it may not be the best laser vision correction surgery for you. There are alternatives. 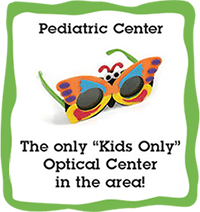 The best place to start when considering laser vision correction, whether LASIK or other, is with a knowledgeable, experienced, board certified opthamologist. Dr. Gary Raflo, M.D., F.A.C.S. is the expert in laser eye surgery at Concord, North Carolina Cabarrus Eye Center. Dr. Raflo can provide a full evaluation and assessment of your vision correction needs. He can discuss if LASIK is right for you or if another procedure would be more beneficial. See more clearly and consider the alternative to glasses or contact lenses. To discuss LASIK eye surgery or other laser vision improvement procedures, make an appointment by calling Cabarrus Eye Care in Concord, North Carolina at 704-782-1127.